Advertisers all over the world now see Instagram as an effective means of marketing products and services. This is mainly due to the platform’s photo and video-centric design. By creating attractive and engaging visual content, it is now easy for brands to get the attention of their target audience. According to Instagram, 8 out of every 10 users follow a minimum of one brand, and more than a third of Instagram users have purchased a product via the Instagram mobile application. Apart from this, Instagram also states that there are more than 500 million users active on the app every day. But a very important fact to notice, however, is that according to Facebook (owner of Instagram) people spend more and more time watching videos on Instagram. This growth is currently at 80% year on year and will likely continue to increase. Instagram offers many ways to watch video on this platform – in the Feed, in Stories, and on IGTV. Instagram Stories makes it possible for users to make 15-second long videos that can be combined to make one single Story. Doing this increases the interest, as well as makes it possible for the viewers and audience to view the complete video series, which further increases the engagement. To clarify, you do not necessarily need to be a pro video editor; a mobile phone with good hardware – camera and processor – is enough to help you record the videos. To help reduce the time for editing, you can plan the video shoot by using a storyboard. Your video team can assist you in making the 15-second videos, about 5 or 6 of them, beginning with a captivating video sequence to get the attention of the audience. This opening sequence can be accompanied by a text to explain the setting. It is important that the Story ends with a certain culmination or surprise or a freebie for the audience. If your Instagram account is verified or you have a following that is beyond 10,000 users, then appending a link to the Story becomes an option. Instagram TV (IGTV) makes it possible for users to create up to 10-minute long videos. An interesting thing about IGTV is the fact that it notifies all your subscribers or followers anytime you post a new video. Instagram Stories, on the other hand, allow businesses to make teaser videos in Stories when you want to start a related IGTV content. The content for your IGTV can be as short as 1 minute, or as long as 10 minutes; this makes it easy for you to produce teasers of 15 seconds long cut from the complete video that can stir up interest in your viewers. Only business accounts with 10 000 followers or more can have “Swipe to follow” option. If that’s not your case, you can include a CTA (call to action) in the videos, telling your followers to visit your IGTV channel. Even better, you can use a 15-second video to launch your channel on IGTV. Anytime you promote discounts or offers on your Instagram Feed it can lead to misunderstandings later on. This often happens when the period of discount or offer on a product has passed, but it is still visible on the Instagram Feed. This is where Instagram Story videos, which only stay for one day (24 hours) before they expire, can really get to shine. You can leverage this aspect to make videos that are short in duration which advertise current offers and their dates of validity; after 24 hours, the Stories will become invisible. By uploading these video Stories continuously, especially when the offers are still valid, you increase your chances of reaching your intended audience or those who missed your previous Stories. In the same way, you can use Instagram Story to re-notify your followers anytime that you upload content on your Instagram Feed. Doing this increases the level of engagement for your brand by multiples. Another interesting thing about Instagram is the fact that it allows users to create boomerang videos. This feature is particularly useful for B2C brands that are always on the look-out for entertaining content every day. 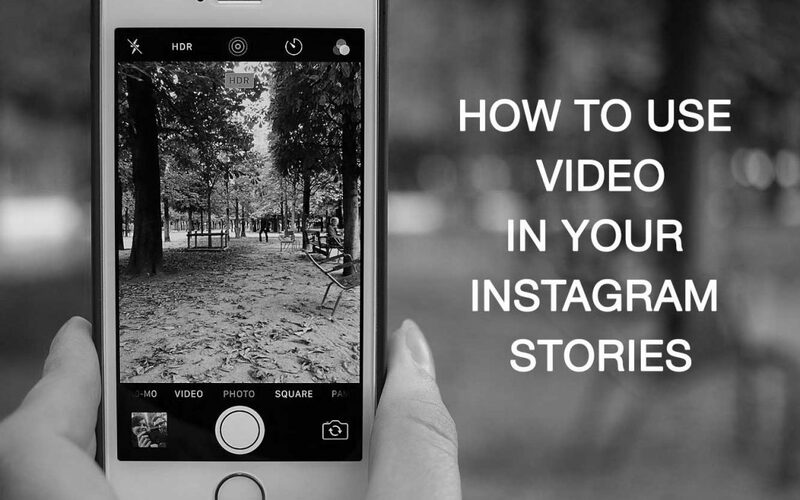 This comes in handy when you are lacking ideas or behind schedule, as you can easily create and post some boomerang videos on your Instagram Story. Such videos are usually compelling, even though they do not say much. When it comes to making social videos quickly and on time, boomerang videos are your best option. In addition to Instagram Stories, businesses can use a variety of filters to produce entertaining and funny videos. Instagram offers a good number of video filters, but you can also try other apps with more filters to make your videos more engaging. Many people, especially Generation Xers are very familiar with Snapchat filters, so you can try incorporating those (there are tutorials out there to help you do this). The concept is simple: since your audience can relate easily, the level of engagement with your business profile will increase. Positive feedback from your customers or customer-oriented challenges can be used to make interesting short videos. Creating promo videos that involve your customers a few times every month is actually a good idea. Engaging with your exsisting customers is one of the most effective ways of increasing trust among your present and future followers. These customer feedback videos can last for 10 or 16 seconds and are ideal for your Stories or Feed. One overlooked, but effective feature of Instagram Stories is the Go Live feature. You can use the Go Live feature on Instagram to get your followers engaged even more. This feature notifies all your followers whenever you are LIVE. Through this feature, you can take your followers on a tour of a new store or do other things that you think can increase engagement. You can do this several times a month. You need to use the Go Live feature sparingly so as not to abuse its purpose and damage your reputation. As a rule of thumb, you should only Go Live when you have a good message to convey. Instagram is evidence that visual content – images and especially videos – can help to increase viewer engagement. All you need to do is get creative and start producing videos!